What does the GoPro Hero 6 Black have to offer? 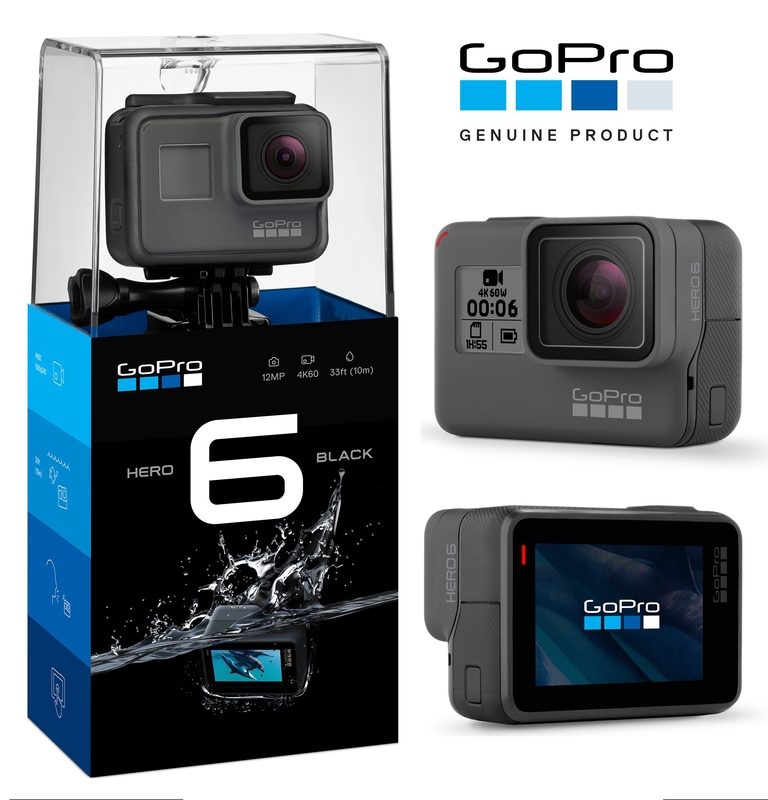 The GoPro series of Action Cameras is one of the best, if not THE best waterproof, sturdy Full HD cameras with excellent filming capabilities and specifications. Last year we witnessed the new arrival of GoPro Hero 5 Black edition and it was just revolutionary in terms of performance upgrades. At GoPro, they’ve included the image stabilization that will fix your shaking footage and make it more pleasant to watch. The GoPro Hero 6 Black, however, is just another step in an evolution of GoPro Series and is much better and faster with lots of great features. It is the best model right now on the market and it has very little to none real competitors. Lately every action-cam company has been trying to copy the GoPro, but they’ve failed! That’s because of the GoPro’s secret winning formula that makes them succeed with every model – Every time. The price is above the average action-camera, but trust me, it is very much worth it! 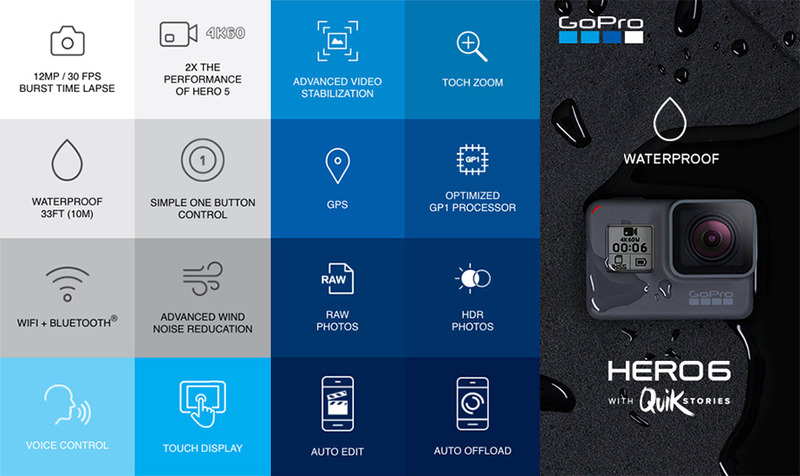 GoPro Hero 6 is better in lots of key areas, such as its top-end resolution and the best frame rates, as well as the image stabilization and overall image quality. All the models are very strong and long lasting. Let me tell you my story about the GoPro Hero 2, 4 years old. I went snowboarding one weekend but unfortunately I dropped it from a chairlift by an accident. It fell on huge rocks and I thought that was it. I was sure the camera won’t ever be seen again and probably crashed into pieces. But in summer when the snow has melted, I decided to go to this ski resort to have a look and guess what. After 2 hours of searching, I found my GoPro in a perfectly fine condition! Only the case has been a little damaged, but the camera-as new! We have talked about its sky prices, but because the GoPro hero 6 has been on the market for a while now, the prices are lower now. 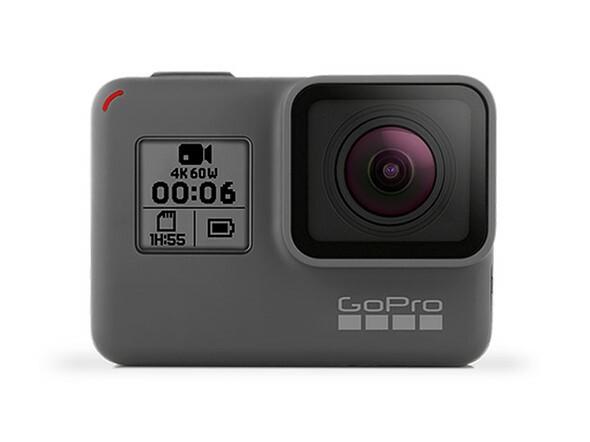 Now you can get one for $397, while the GoPro Hero 5 (which is also an awesome choice of a generation before the 6 came), is currently priced at only $249. What you get if you buy the “6”? We’ll come to that later, but just for a teaser I can say that you’ll be filming in stunning 4K 60 fps video! If we look at physical design of the GoPro Hero 6 and compare it to the GoPro Hero 5, we see that nothing has changed really. They are just identical. All the Hero 5 specific mounts will work with the Hero 6 as well, such as Karma drone and others. With the design we can’t go into details much since we don’t see any real difference. You will get a 2″ LCD touchscreen just to see what you are filming, which is great and the colors on the GoPro 6’s touchscreen are far better than the washed-out look of the older model. But the display isn’t the main feature here. Do you know where the real difference is? It’s inside of the camera! They’ve also improved the touch-responsiveness as in the past, the Hero 5 black would occasionally fail to register some of the menu-accessing gestures. Well, with the Hero 6, no problems will appear. The Hero 6 is smoother and more responsive in every aspect as it is to expect from the next generation action camera. The Hero 6 will also offer you Voice controls. You can say for example ‘GoPro start recording’ and the device will start recording. This is another great feature of the new model that many will love. The GoPro Hero 6 is just an amazing device. However you shouldn’t expect the audio quality to be extremely good as the device is meant to be waterproofed to 10 meters without the need for external housing. If you want to go to greater depths, a separate housing is available for scuba divers. But new technology and noise-cancellation processes will help about the audio quality to a great extent. Plus if you need better quality audio, you can always plug in an external microphone. 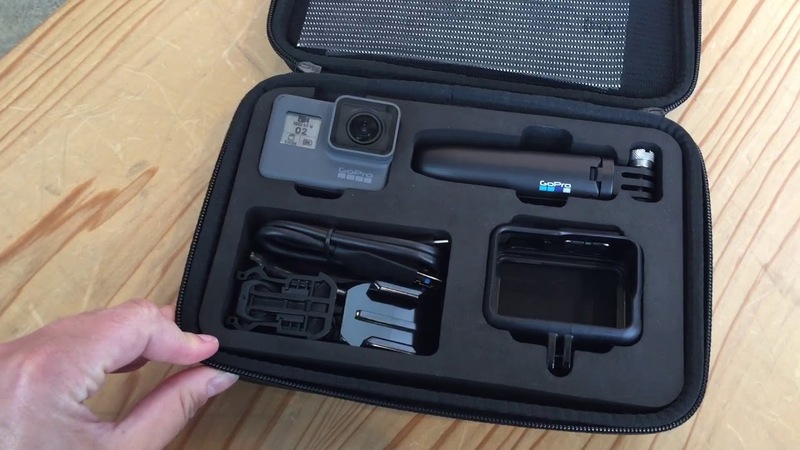 With GoPro you can get lots of different useful Accessories such as this 50-in-1 GoPro Accessories kit for every filming occasion. In the water, every part of body, drone, bikes, cars, whatever you think of you can just stick it up. At GoPro they have really thought of everything. It’s super convenient. GoPro Hero 6 can show off with custom-designed GP1 processor. 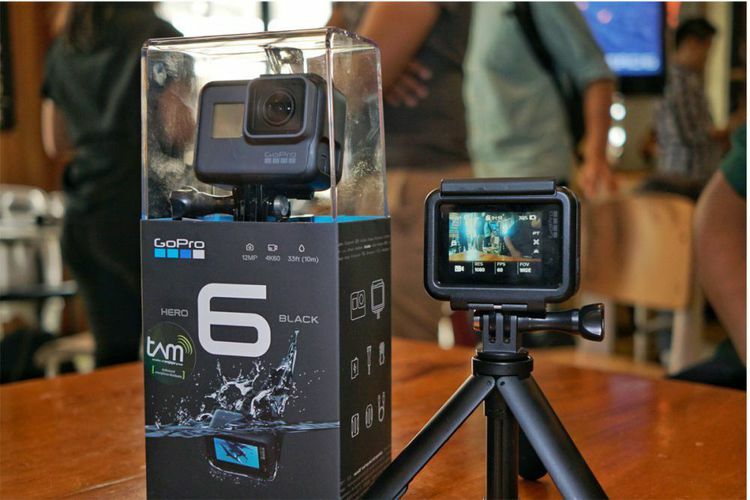 It allows the camera to capture much higher resolution combined with great frame rate compared to the Hero 5. It pretty much offers double the performance of the Hero 5 Black. Last year’s year’s GoPro topped out at 4K/30fps, but the Hero 6 Black can do 4K/60fps. The limit with Hero 5 was 1080p/120fps slow-motion, but you can now do a super-smooth 1080p/240fps. There’s even 2.7K and 120fps that offers great resolution and slow-motion capabilities. GoPro Hero6 Black Review: 15 Things to Know!